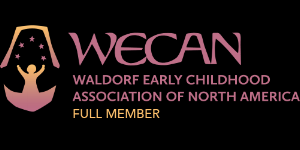 Welcome to the Waldorf School of Cape Cod! We are pleased that you are interested in learning more about our school. Deciding about your child’s education is a big decision with many factors to consider. As you discern your next step, we encourage you to begin at the end and imagine what kind of person you want your child to be as an adult. What will help them develop to their fullest potential and truest self? What skills will they need? What social and educational environment will help shape them and support your values for them? be able to solve problems and explain the process. Visiting is the best way to learn whether Waldorf Education is right for your family. Please review the list of upcoming outreach events on our school calendar. We have scheduled visiting days to learn about our early childhood program and our grades program in addition to several special events and open houses open to the public. If we do not offer an event that suits your schedule, please contact us to schedule a tour. We encourage you to follow us on Facebook. to learn about special events, upcoming classes, workshops and Waldorf news. If you would like to receive information about our school, please contact us and a packet of information will be mailed to you. You may also be interested in receiving our weekly community e-newsletter to learn more about our school, Watermarks. It is a great way to get a sense of our school community. Click here to sign up for our school e-mail newsletter.